What is a Financial Gardener? Just think about what a gardener does. Gardeners grow and look after plants in a range of settings. Knowing the complex relationship between plants, soil, and environment is the reason you would hire such an expert. However, knowledge alone is not enough; the hard work needs to get done too. So, gardeners pull the weeds and fertilize the soil too. Their continuous vigilance is rewarded with both beauty and bounty. A true gardener is aware that they are merely a steward of the land, leaving it better for the next generation. A Financial Gardener is for investments what a gardener is for plants. Our main job is to help you maximize the things you do with your money and minimize mistakes. Just as a certain plant has individual soil, shade, and sun needs, you need support that is specific to you. We take the time to understand the complex relationship between your personal situation and your dream garden. From there, we recommend & explain practical solutions. Our role is to help you make informed decisions about your money. We promise we will not have you do anything that does not feel right to you. Can you see the connection between growing money and growing tomatoes? What does your ideal garden look like? We want to be your Financial Gardener. Q: Why should you take a pen to your garden? A: So, you can Weed and Write. One: Service should eclipse sales - always. Two: Success follows hard work and strong ethical practices. That belief lead to the creation of Happel Financial. 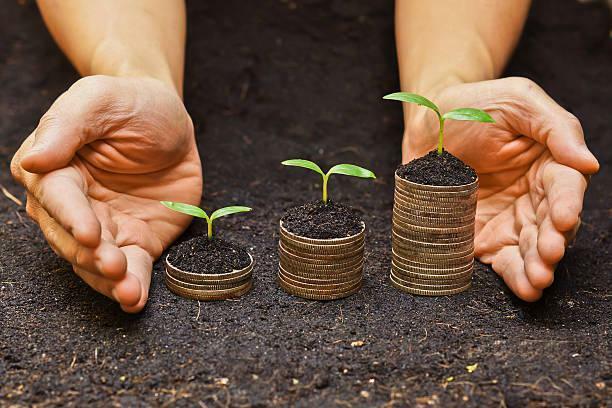 Notion of a Financial Gardener grew out of years of practice at both growing vegetables and financial planning business. We are better together. Join our “happe” community. Give us a call and tell us about how your want your garden to grow. Together, we can plan for your bumper crop. This communication is strictly intended for individuals residing in the states of NC, SC. No offers may be made or accepted from any resident outside these states due to various state regulations and registration requirements regarding investment products and services. Investments are not FDIC- or NCUA-insured, are not guaranteed by a bank/financial institution, and are subject to risks, including possible loss of the principal invested. Securities and advisory services offered through Commonwealth Financial Network®, Member FINRA/SIPC, a Registered Investment Adviser. Fixed insurance products and services offered through CES Insurance Agency.